Using Adaptive Mesh-Networking technology, the Sena 30K Bluetooth Communication System will allow a group of riders to communication seamlessly, even if one (or more) of the riders fall out of range. The Sena 30k makes group ride connectivity simple, allowing all riders to remain connected, even when a connection is lost. When one (or more) of your riders is out of range, the Adaptive Mesh-Networking technology ensures that the remaining riders in the group stay connected. The Sena 30K is one of the first mesh-network Bluetooth communication systems on the market, allowing you to communicate with up to 16 riders within a range of 2km (1.2 miles) at any time. Working in conjunction with Senas already advanced Bluetooth capabilities, the 30K allows for more connectivity than ever before. Developed with a dual antenna and two processors (one for Bluetooth and one for the Advanced Mesh-Network technology), the 30K can connect to each processor at the same time with the new multi-operation feature. With both Bluetooth 4.1 and Advanced Mesh-Networking connectivity, the Sena 30K is the perfect solution for keeping you and your group of riders connected. 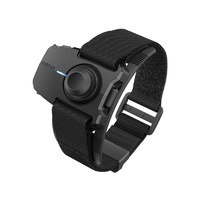 Using the Sena 30K, connect to other riders using Adaptive Mesh-Networking Technology, Bluetooth 4.1 or the new Sena RideConnected app. Through the RideConnected app, connect with other riders through your mobile network. While SENAs technology has evolved to include Adaptive Mesh-Networking Technology, the 30K unit is still enabled with Bluetooth 4.1 and able to connect to all other Sena and non-Sean devices. 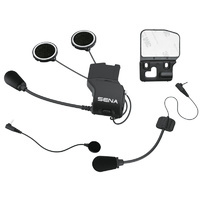 Listen to music, answer phone calls, follow GPS navigation and more with the Sena 30k Bluetooth Communication System. 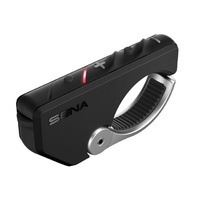 The Sena 30K offers a new quick charge feature, allowing 4 hours of use after a 15 minute charge. 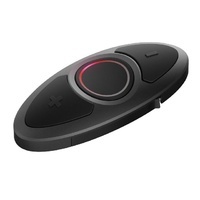 Control the 30K through hands-free voice commands for music, phone and intercom features. The 30K is also fully compatible with the Sena Handlebar Remote and all of the Sena 20S clamp kit accessories. 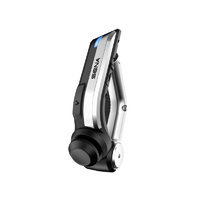 The Sena 30K Audio Multitasking technology allows riders to operate Bluetooth systems (streaming music, talking or making calls, or listening to GPS directions via your smartphone) while also maintaining a conversation with other riders through Adaptive Mesh-Networking Technology. Say goodbye to the frustrations of interruption, using Sena 30K Audio Multitasking technology, audio features will no longer be interrupted by one another, but simply overlay themselves for a smooth listening experience.